Microsoft Flow has a fairly good UI update today, and with this a few “hidden” built-in triggers appeared. The GeoFence Trigger is not available yet. 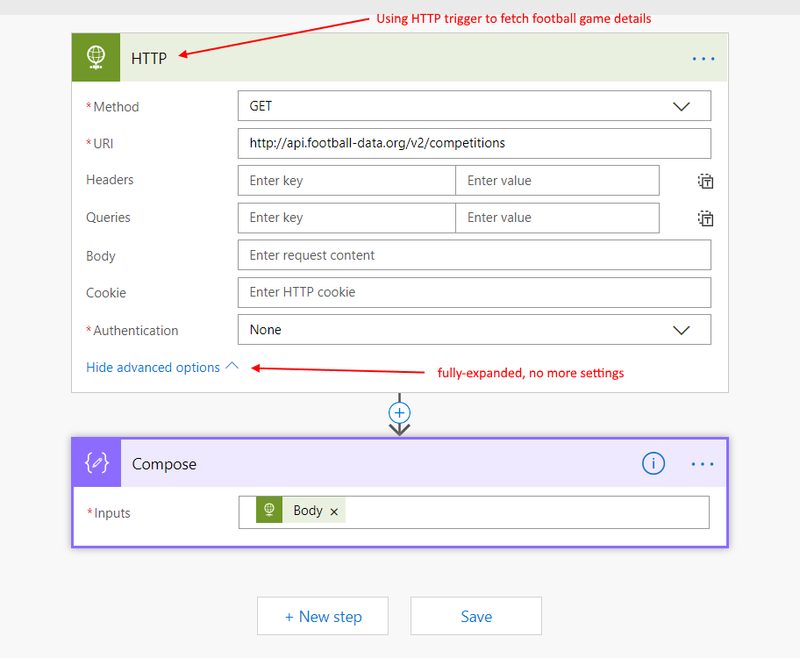 But the HTTP Trigger is, and I wanted to write this blog post to explain how it works, and more importantly, why you probably don’t want to use this trigger. The HTTP trigger is not a “new” trigger - it is something that’s in LogicApps for sometime. In essence, it is a polling trigger. So is this a run-once? Does it run many times? The answer is in the definition. But the designer for HTTP trigger does not let us specify the recurrence pattern for this trigger. So it ends up on the default, which is polling at 1 per minute. Use FlowStudio to patch the JSON definition like a hacker. In a future FlowStudio update we will warn when these type of high-run Flows are created in the tenant unintentionally. The Request Trigger turns a Flow into a web service. A HTTP trigger does not accept any requests, having both triggers now in Flow makes describing the correct trigger in text and blogs slightly tricker.